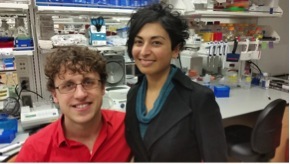 Sonia Vallabh and Eric Minikel are biologists in the Schreiber Lab at the Broad Institute of MIT and Harvard. 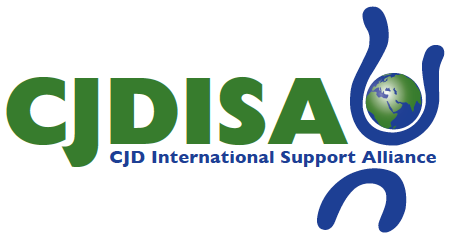 Their long-term research goal is to facilitate the development of therapeutics for human prion diseases. Sonia and Eric are currently working to develop systems to model prion disease in the laboratory and assays to discover small molecules with anti-prion properties. They are also interested in identifying biomarkers to track the progression of prion disease in living patients. Just a few years ago, Sonia and Eric were pursuing completely different careers. Sonia had earned a J.D. from Harvard Law School, Eric had trained in city planning and transportation engineering at MIT, and both were working in consulting when they learned, in late 2011, that Sonia carries the autosomal dominant genetic mutation that had caused her mother to abruptly develop and die of prion disease the year before. Over the next few months, Sonia and Eric both changed careers in order to re-train in the biomedical sciences and devote their lives to working towards a treatment or cure. They founded Prion Alliance, a research non-profit, and Eric began blogging at cureffi.org. In fall 2014, both joined the Biological and Biomedical Sciences PhD program at Harvard Medical School.